We’ve heard rumors that Google is working on a Pixel 3 Lite, and some recent leaks – including today’s – have suggested it will actually be called the Google Pixel 3a, but we now also have a good idea of what it might cost and what colors it might land in. According to WinFuture, citing “European online retailers”, the Google Pixel 3a and Pixel 3a XL will come in the expected black and white shades alongside a new “iris” color, which 9to5Google corroborates, saying its own sources have described the shade as purple. Apparently both the standard and XL model will come with 64GB of storage. It’s unclear whether any other sizes will be offered anywhere, but the report notes that at least in Europe we’re unlikely to see a 32GB version. Will the Pixel 4 be one of the first 5G phones? 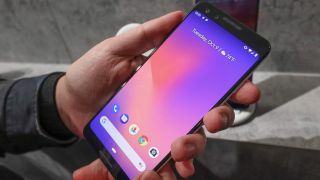 As for pricing, the sources put the Google Pixel 3a at around €450 (roughly $500 / £385 / AU$715) with the Google Pixel 3a XL obviously set to be slightly more, but no exact pricing was offered for that model. We’ve heard before that the Pixel 3a could cost around that much, so this could be true, though earlier rumors listed 32GB of storage and we can’t be sure of anything until the phone is official. On that note, given how heavily the Google Pixel 3a is leaking, and given that some retailers seemingly already have information on it, we’d expect to see it before too long. The only real release date rumor points to a launch in the first half of this year, which would mean in the next few months, but that rumor dates back to mid-2018, so plans could have changed.